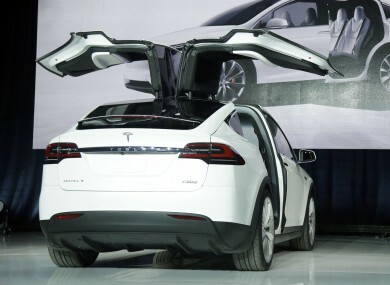 The Tesla Model X car was unveiled last year. SOME TESLA MOTOR vehicles will be able to park themselves without a driver inside with a software update beamed to customers this weekend. Owners must line up their Model S sedan or Model X SUV within 33 feet of the space they want it to drive or back into. The owner can then stand within 10 feet and park the car automatically using the key fob. The car can also exit the spot when the driver summons it with the fob. The software update also puts new speed limits on Tesla’s semi-autonomous mode. The car will now only drive at the speed limit when automatic steering is being used on residential roads and on roads without a centre divider. Email “This car has just learnt how to park itself ”. Feedback on “This car has just learnt how to park itself ”.